PennsylvAsia: Kevin Kwan's Crazy Rich Asians at Book Ends Book Club, May 10 at Carnegie Library - West End. Kevin Kwan's Crazy Rich Asians at Book Ends Book Club, May 10 at Carnegie Library - West End. The monthly Book Ends Book Club at the Carnegie Library of Pittsburgh's West End branch will feature Kevin Kwan's Crazy Rich Asians on May 10. When Rachel agrees to spend the summer in Singapore with her boyfriend, Nick, what she doesn’t know is that he’s the heir to one of the most massive fortunes in Asia. Thrust into a world of splendor, Rachel meets Nick’s formidable mother, who has strong feelings about who her son should and should not marry. 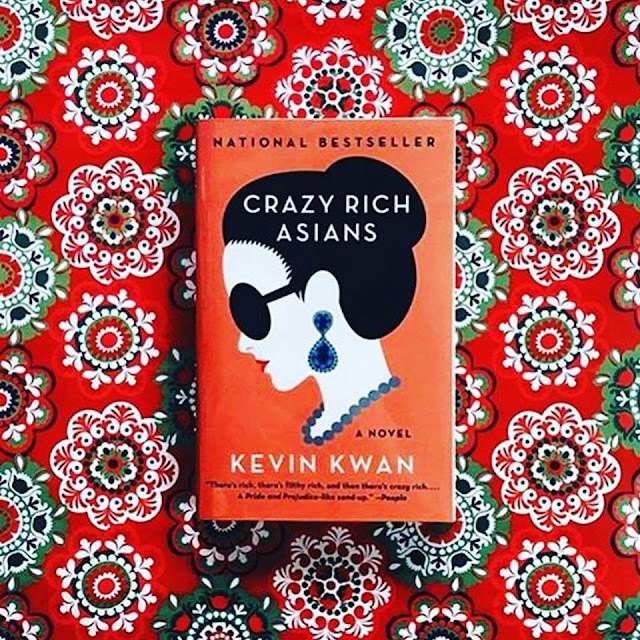 Filled with humor and jaw-dropping opulence, Crazy Rich Asians is an insider’s look at the Asian JetSet; a depiction of the clash between Overseas Chinese and Mainland Chinese; and a story about what it means to be young, in love, and crazily rich. The club meets on May 10 from 11:00 am to 12:00 pm, and the library is located at 47 Wabash St. in the West End neighborhood (map).